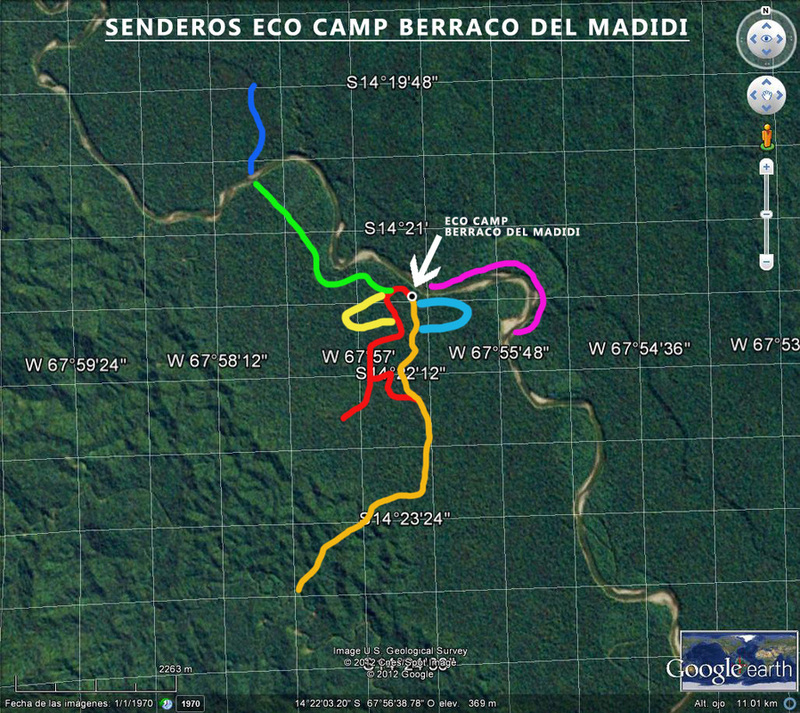 The area around the EcoCamp contains more than 10 private hiking trails, totaling over 40 kilometers. 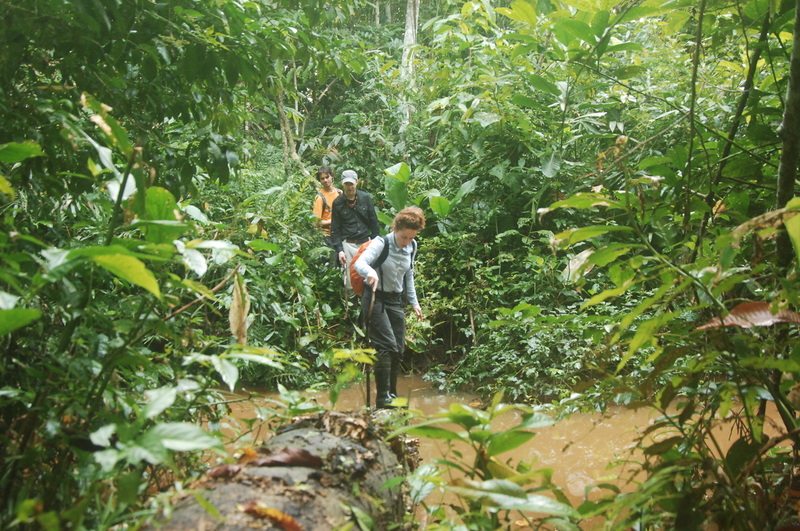 We call these routes “interpretive trails” because each one captures an individual rainforest ecosystem that sustains unique plants and animals. You are sure to spot snakes, monkeys, eagles, tarantulas, parrots and many other species during your treks. While you explore the primary rainforest, where the EcoCamp is located, our guides will exchange their ancestral knowledge of the jungle passed down for generations in the local community of San José de Uchupiamonas. With them you will be taught to identify medicinal plants, learn about the behavior of the local wildlife and their calls, and about local legends and traditions. We also offer night hikes, when a completely different jungle comes to life. In the darkness, you will be able to spot the nocturnal animals and insects that are on the prowl at night. Don't forget to bring your flashlight to help spot frogs, Kinkajou howler monkeys, tapirs, paca and more. The night hikes offer a completely immersive experience in the rainforest, and are a fantastic way to really get to know the jungle. For rainy days we provide rubber boots for every guest. The weather is no excuse for us! One of the most interesting trails we have is the Playon Trail, which leads to a viewing platform located next to a clay lick completely full of nutrients, which groups of jungle pigs feed on, eating the earth’s natural mineral salts. These salts counteract the acidic fruits that the jungle animals eat and aid digestion. It's an amazing place to take photos to remember your trip to the Bolivian Amazon rainforest.